Every Astanga yoga practitioner has stepped onto a mat for the very first time and we all remember what it feels like to start something new. With that in mind we aim to make your start as easy as possible. How to get started and what should I know? First step is to contact us and book a time for your first class. You will be taught individually from the beginning. In your first class we will teach you the breathing technique and a small sequence of postures. Your first few practices will be around 30-45 minutes. As you learn and internalize the basics, your teacher will one step at a time guide you further into the practice. In this way you slowly and safely learn the sequence by heart and develop an ability to focus inwardly. Mysore setting allows personal teaching, which is ideal for beginners. The common misconception is that Mysore classes are only for advanced students who have already established a regular yoga practice could not be further from the truth. On the contrary, Mysore style class is the best way to start and there is absolutely no need to be intimidated. All you need is motivation to learn. No preparation is needed, just get started and come as you are. We encourage to commit the minimum of 2-3 times per week in order learn the technique and sequence correctly and safely. Mysore class is not your average yoga class. The classes are taught by highly trained teachers who have dedicated a good portion of their lives to the daily study and practice of Astanga yoga. 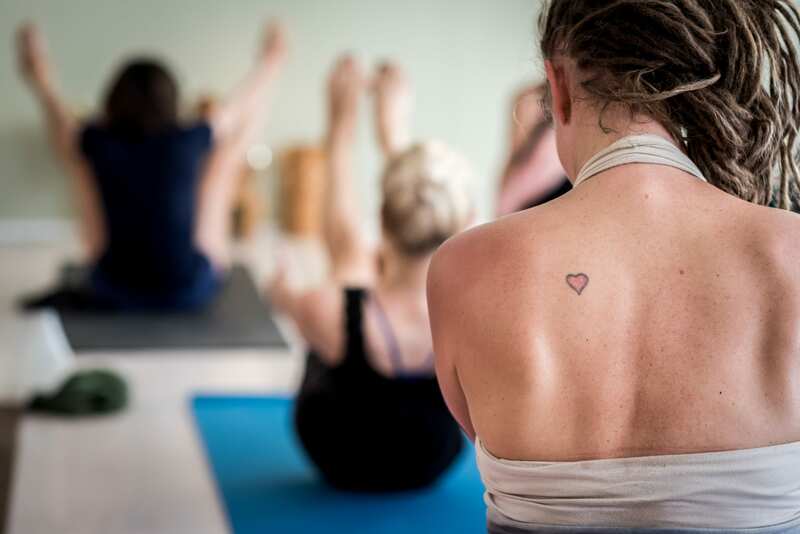 Mysore practice offers a highly personalised approach without the cost of a private lesson. Read more about Mysore style Astanga yoga here. If you have any doubts or feel unsure, you are always welcome to observe a class before beginning your own practice. Confused? Email us and we’ll be in touch within the next 24 hours.